Power By Linear™/Analog Devices' LTM4626 20 V, 12 A, step-down (buck) switching mode µModule (micromodule) regulator. This regulator comes in a tiny 6.25 mm x 6.25 mm x 3.87 mm BGA package. Included in the package are the switching controller, power FETs, inductor, and support components. Operating over an input voltage range of 3.1 V to 20 V, the LTM4626 supports an output voltage range of 0.6 V to 5.5 V, set by a single external resistor. Its high-efficiency design delivers up to 12 A continuous output current. Only bulk input and output capacitors are needed. The LTM4626 supports selectable discontinuous mode operation and output voltage tracking for supply rail sequencing. Its high switching frequency and current mode control enable a very fast transient response to line and load changes without sacrificing stability. Fault protection features include overvoltage, overcurrent, and overtemperature protection. 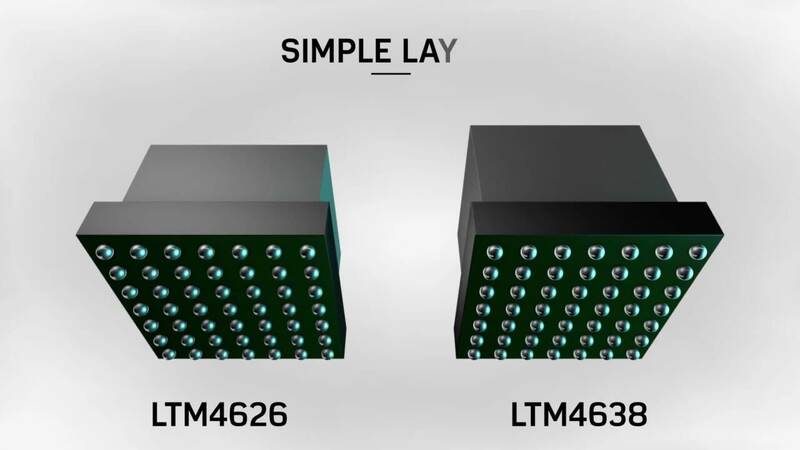 The LTM4626 is designed for networking, diagnostic, and test systems.